Lynnderella Light Heart Blue has a blue shimmery base with a mixture of blue hearts, circles and holographic hexes and dash of iridescent shards. I used 2 coats over Zoya Stevie and a top coat of Seche Vite. This polish is limited edition with only a few in existence, but you can try your luck at bidding on a bottle through Paint It Blue! Custom blue for Autism's auctions. The auctions are live now, so make sure to check them out! 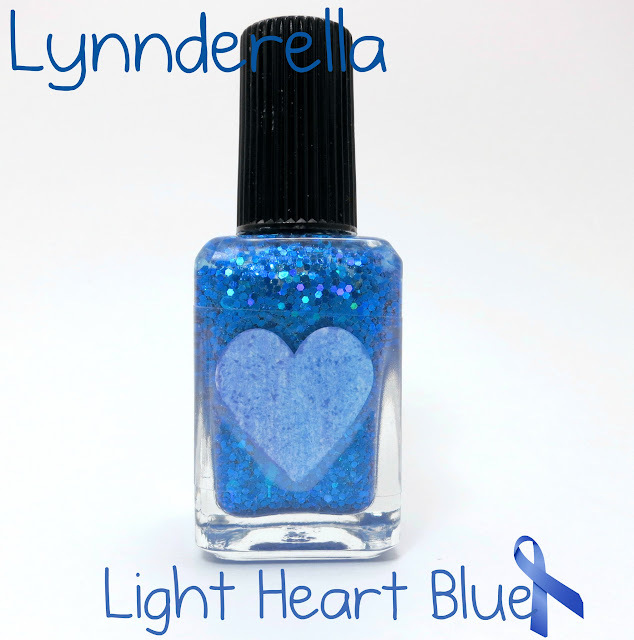 Find other Lynnderella polishes for purchase on eBay. Make sure to follow Lynnderella on Facebook, Twitter, Instagram and Tumblr.